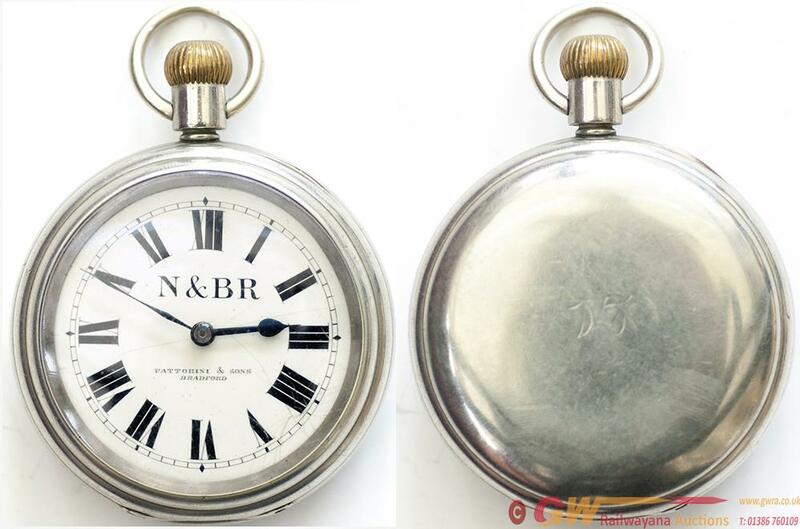 Neath and Brecon Railway nickel cased pocket watch with American Waltham Watch Co 15 Jewel lever movement 9570902 which dates the watch to 1900. The dial is marked N&BR FATTORINI & SONS BRADFORD and is free from chips. The rear of the case is engraved 17. In good working condition.